David Wolfe, who has represented Ocean County’s tenth legislative district in the state Assembly for 26 years, will retire after his current term, he announced today. Wolfe, a Brick Township resident who served on the township council there from 1975 to 199, made a significant impact during his quarter-century in the legislature’s lower chamber, authoring the bill that created the state’s Blue Acres program and led the effort to fund the cleanup of Barnegat Bay and the Shore area after Superstorm Sandy. 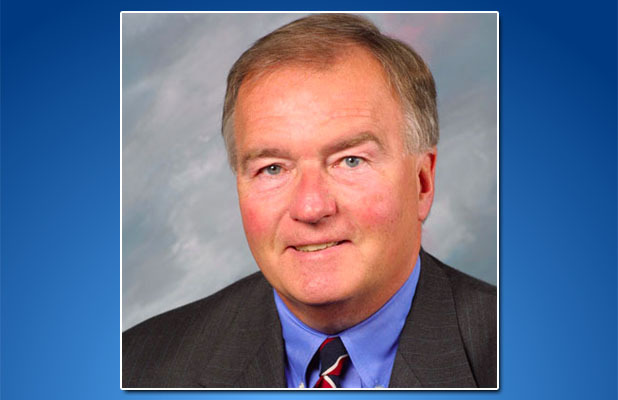 He also served as chairman of the Assembly Education Committee and Vice Chairman for the Joint Legislative Committee on the Public Schools when his Republican party held a majority in the legislature. He said in a statement that representing the district has been “one of the greatest honors of my life” and thanked his wife, Carole, for her support. Wolfe also thanked his current legislative colleagues, fellow Assemblyman Gregory P. McGuckin and Sen. James Holzapfel, as well as his former running mates, retired state Sen. Andrew Ciesla and Assemblywoman Virginia Haines, who is now an Ocean County freeholder. A new Assembly member will be elected in November, following a primary election in June. The 10th district is overwhelmingly populated by Republicans, but has a bipartisan history, having elected Democrats Marlene Lynch Ford, John F. Russo and John Paul Doyle to seats in both chambers over the years.